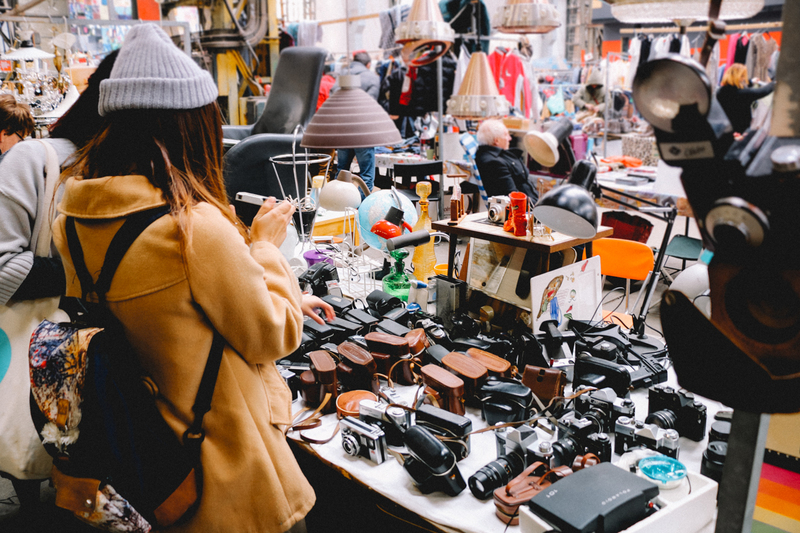 From vegetables to cheese and fresh fish, and from art to antiques, books and vintage clothing, there is something for everyone at the various Amsterdam Markets. 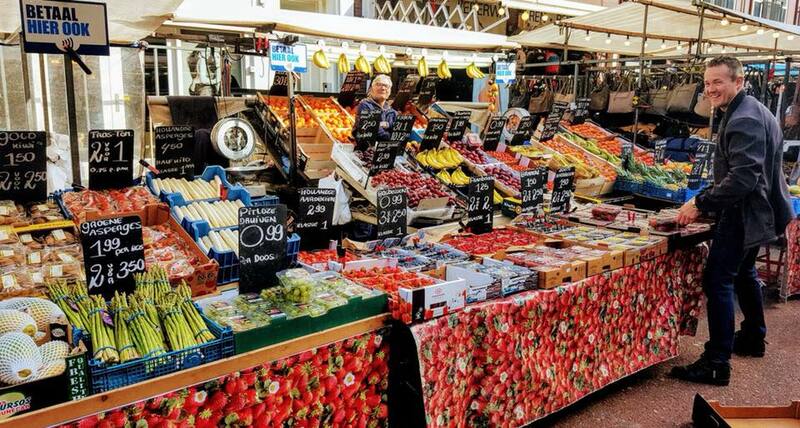 For the Dutch, a trip to the market is not only a way to get more value for their money or buy special products that are not found at local supermarkets, but it is also an outing. After a round through the stalls, many catch up with friends at a nearby café or treat themselves to a typical market snack such as a giant, warm stroopwafel (syrup-filled wafer) or a paper cone filled with steamy, thick-cut chips with mayonnaise. For the tourist, on the other hand, the market is also a chance to taste some of the city’s culinary delights while soaking up urban culture. There are wonderful markets taking place in Amsterdam every day. Some are held only once a week or even once a month. 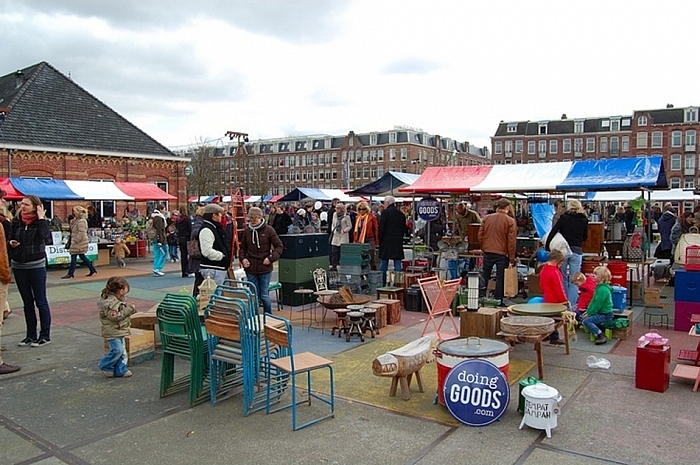 Let’s have a look at what some of the city’s must-see markets have to offer – from the first organic market, the Noordermarkt, to the most iconic, the Albert Cuyp Market. It’s an experience no tourist (especially those who love food, bargain-hunting and cultural city vibes) should pass up! 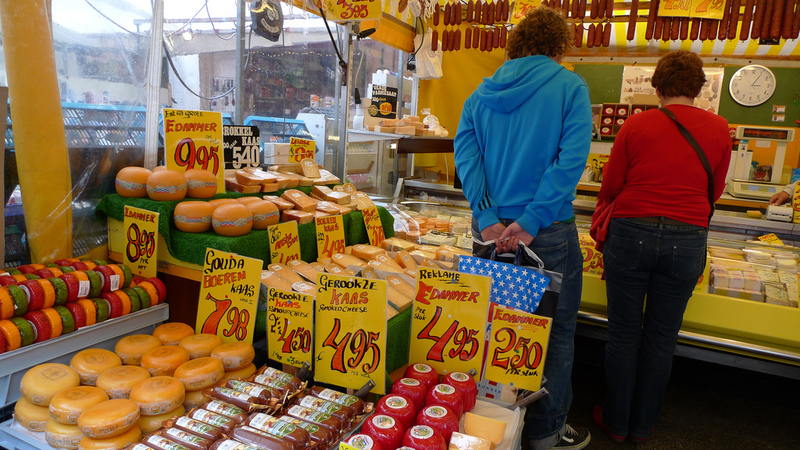 No visit to Amsterdam would be complete without a stroll through the iconic Albert Cuyp Market. Approximately 260 stalls line both sides of Albert Cuypstraat located in the trendy district known as De Pijp. Especially during the weekends, when roughly 50,000 people per day visit the market, Albert Cuypstraat bustles with curious tourists adding even more zest and international flair to the already distinctly multicultural hotspot. The Albert Cuyp is the place where you can experience the true Amsterdam spirit. There is no other place where you can enjoy the Amsterdam humor and friendliness. Its is full of stalls where you can buy various items. Food, clothing, gadgets, bikes, traditional ethnic goods – you name it, they have it. Especially food plays a big part at the Albert Cuyp Market. Your mouth will start to water as soon as you approach Chris’ Olives or Popal Oliva. At Ron’s Notenbar you can buy all sorts of nuts. And De Peperbol sells the best herbs and spices and tea. And when you’re in The Netherlands it’s impossible to be at any market and not taste and buy some cheese. There are lots of cheese sellers on the Albert Cuyp. Pay a visit to Bart Kaas, Daalder Kaas, Johan Kaas or Say Cheese. 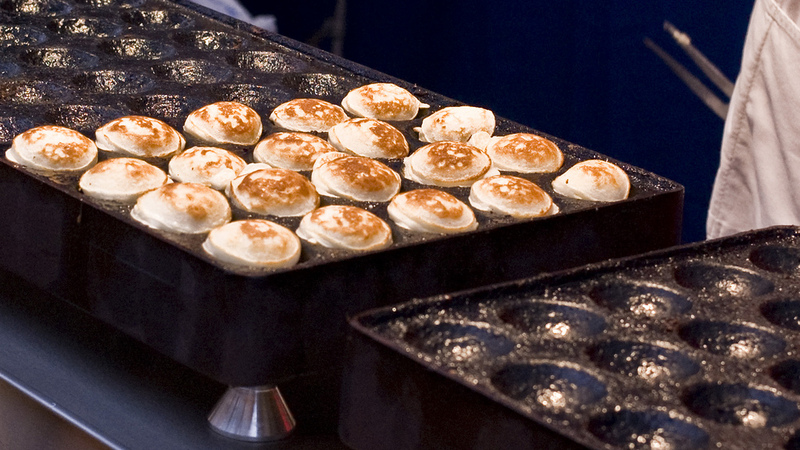 Make sure you don’t miss out on two traditional Dutch sweet treats: a giant stroopwafel and poffertjes, which are mini pancakes. 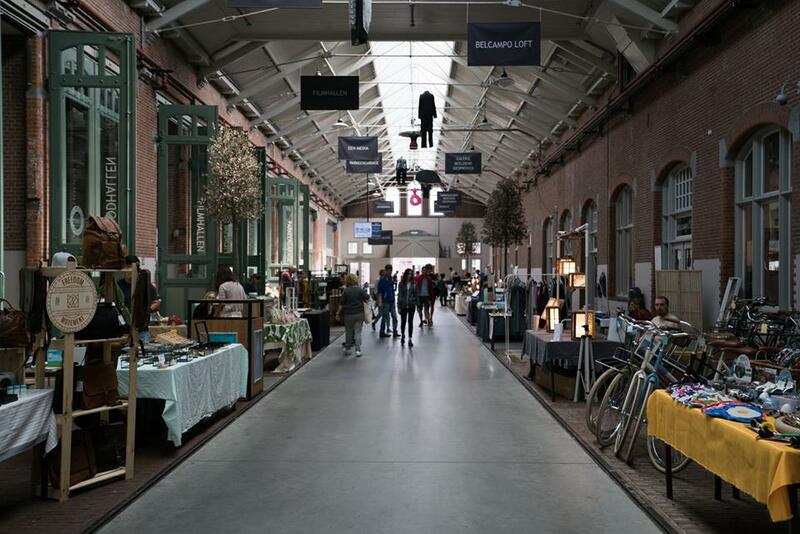 For more vintage finds, especially when it comes to fashion head to the IJ-Hallen in Amsterdam North. Held one weekend per month with 750 stalls, this is the largest vintage market in Europe. At the IJ-Hallen both locals and merchants are given the chance rent a stall and sell their stuff. Browse between clothes, accessories and furniture to find unique bargains. Go there before the good stuffs gone, from €4 dresses to €40 designer pieces! 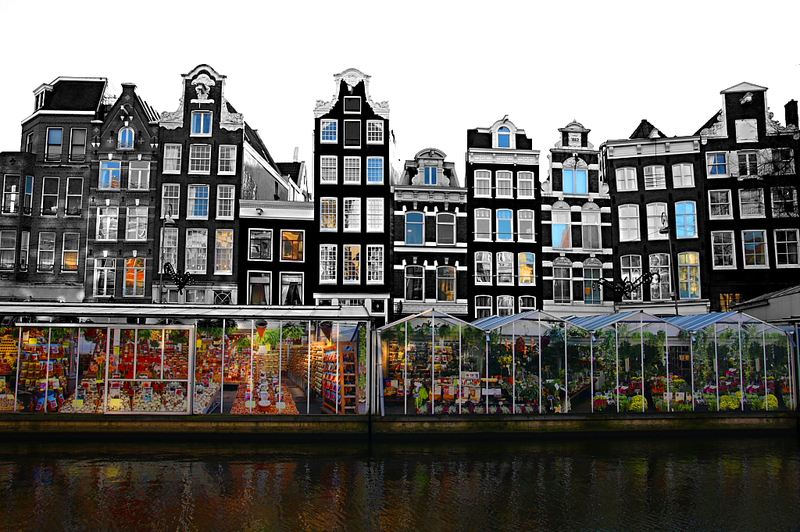 The Amsterdam Flower Market is one of the most popular attractions in Amsterdam and the only floating flower market in the world. The small shops are based on a row of floating barges, dating back to when flowers arrived by boat from the countryside. 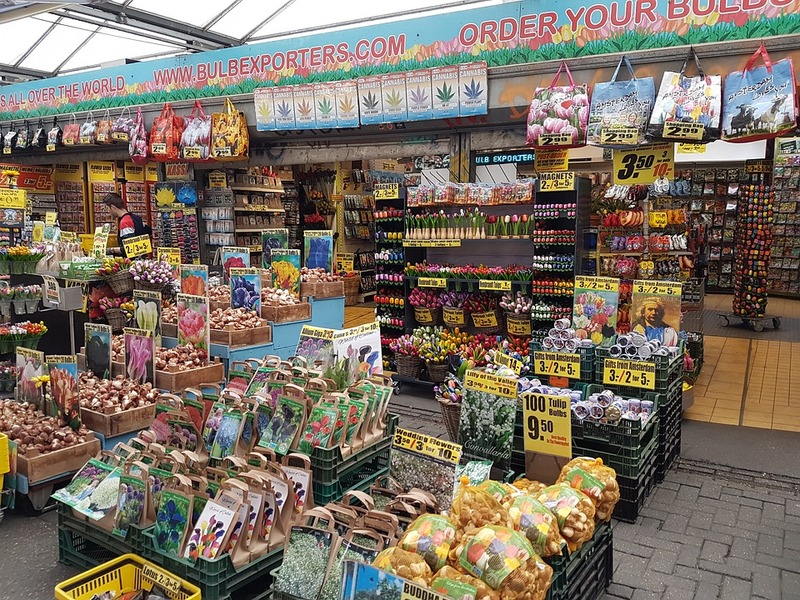 This colorful place has a wide range of different flowers, seeds and plants. No matter what your favorite flower is, you’ll find it here. The shops on the other side of the market sell a range of souvenirs, traditional Dutch cheese and some of the best traditional Dutch pancakes in town. Take home some tulip bulbs to plant at home, as a perfect reminder of your trip to Amsterdam. While every market in the city has its own charm, there’s something special about spending a leisurely Saturday perusing the more than seventy stalls at the Noordermarkt. The vibrant market, located in the Jordaan. Amsterdam’s most celebrated and folkloric neighborhood, is home to an exceptional array of organic, farm-fresh and locally-made artisanal products. There are huge rounds of Dutch cheeses as well as an impressive selection of high-quality imported cheeses. Fruit and vegetable stands shine with an abundance of seasonal color and vibrancy (this may just be the place to find forgotten vegetables such as Jerusalem artichokes, salsify and vitelotte potatoes!). Your mouth will water as you admire the piled up loaves of aromatic breads and elegant pastries, all made with the best ingredients and absolutely no additives. Though the market is a paradise for vegetarians and vegans, there are also organic meats (including juicy Dutch smoked sausages) and seafood (oysters are shucked for you on the spot!). Delicatessen products abound as well with fine olive oils, top-quality honey, some of the most sought-after mushrooms, olives and even freshly-prepared nutritious snacks. But that’s not all. 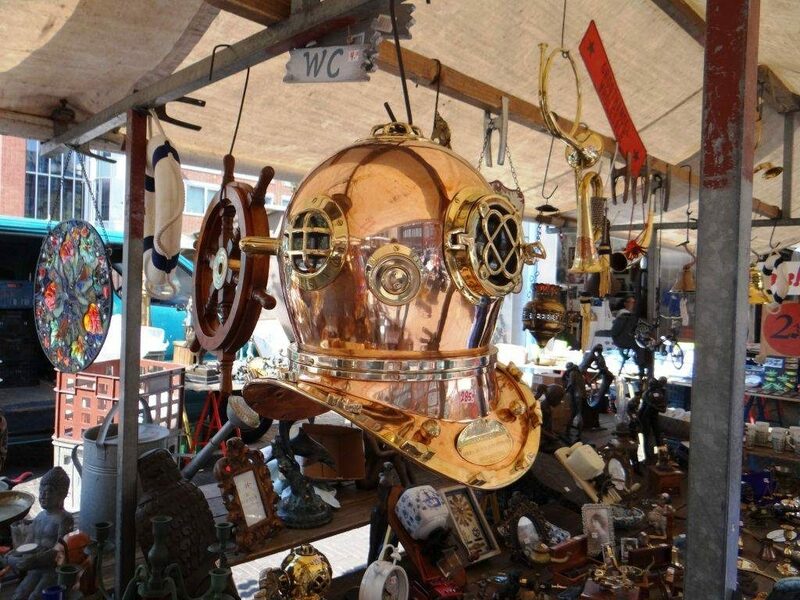 At this bustling city hub, you’ll also find an interesting selection of antiques and vintage items. And take note: you may want to start or end your market trip with a thick slice of Dutch appeltaart (apple pie) and a glass of red wine at Café Winkel43. This lively and very popular café, located on the corner of Westerstraat and Noordermarkt, is renowned for serving the best apple pie in Amsterdam, if not in the country. Their apple pie is everything it should be: thumb-sized chunks of firm and slightly sour apples, a buttery crust and a good dollop of whipped cream that isn’t overly sweet. Absolute perfection! The Noordermarkt is situated directly at the foot of the Noorderkerk and dates back to 1618. It is the second oldest market in the Netherlands (the oldest being the Nieuwmarkt, which holds a daily market as well as an organic market on Saturday). In its early days, the Noordermarkt specialized in pots and textiles and catered mostly to the poor of the area. Towards the middle of the century, it expanded with other types of wares being sold and ultimately it specialized in second-hand wares. It wasn’t until 1987 that the organic farmers’ market became part of its repertoire, if not the main reason both locals and tourists alike flock there every Saturday. What’s especially interesting is that this was the first organic farmers’ market, not just in Amsterdam, but in the Netherlands. The Noordermarkt was a true pioneer. Today, almost every city in the country holds an organic farmers’ market at least once a week. Besides the Noordermarkt and the Nieuwmarkt, Amsterdam has several other organic and sustainable markets worth mentioning. Since its inception in 2011, the NeighbourFood Market has been functioning as a platform for innovative and passionate food entrepreneurs who are eager to let you taste their locally-produced fare and discover new and exciting flavors. It is held once or twice a month, on a Saturday and/or Sunday at the Westergasfabriek, one of the city’s most hip & happening hotspots. Somewhat similar is the Pure Markt – especially with good weather, there’s no better way to spend a gourmet afternoon. Held at different locations in the city on most Sundays, the market offers music, entertainment and an impressive selection of products sold directly from their producers. There are plenty of picnic tables where you can enjoy a meal put together with treats purchased at the many different stalls. Two other markets to add to your itinerary are the farmers’ market held on Haarlemmerplein every Wednesday (after the market, you may want to explore Haarlemmerdijk/Haarlemmerstraat, two streets full of gourmet shops and known to many as ‘Culinary Avenue’) and the zuiderMRKT which has more than 20 stalls and is held every Saturday at Jacob Obrechtplein in Amsterdam South. Looking for an original LP from your favorite 60s rock band? A funky lamp to jazz up your living room? Just the right fabric to make that special dress? Exciting books for young and old? Or a unique souvenir to take back home? You’ll find this and more at the city’s specialized markets. 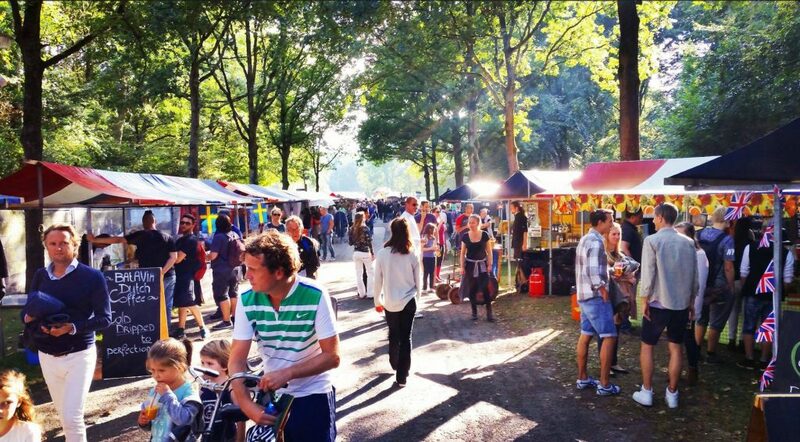 Start your hunt at the Waterlooplein market which is held every day except Sunday in the former Jewish Quarter. With a history that goes back more than a century, this is the oldest flea market in the city. It boasts more than 300 stands offering everything from rare antiques to shoes. The Maker Market is a relatively new and exciting market located in De Hallen Amsterdam. This event takes place every month with stalls by creative locals offering natural cosmetics, handcrafted leather items, furniture and some true delicacies. It is a place where you can experience craftsmanship and meet the creator behind the product. The stalls change every edition, ensuring a new and unique experience every time you visit the market. Everything that is sold at the Maker Market has to be made by the sellers themselves. So if you’re looking for a one-of-a-kind gift or to enjoy a delicious bites, this is the place to be! Last but not least, the Sunday Market, which takes place at the Westergasfabriek and other locations either once or twice a month, is a real must for fashion, art and design fans. Meet creatives (including established names and young talent from the Rietveld Academy and the Design Academy), hear the stories behind their products, and allow yourself to be inspired. Finished shopping? Grab a bite at one of the sustainable food stands! The Rembrandt Art Market at the Rembrand Square is held every Sunday from March until October. Browse the stalls for one-of-a-kind pieces created by both local and international artists and let them fill you in on their creative process. From juwellery to modern art, you’ll find all types of affordable art here. Those who love to read will marvel at the stunning selection of rare, used and out-of-print books sold by approximately 25 vendors from across the country at the Spui Book Market. The market has been held every Friday for more than 20 years and features books in various languages. The Lindengracht Market is another famous market in the picturesque Jordaan. With a laid-back atmosphere and beautiful architectural backdrop this is another market you should visit when you are exploring the Jordaan. Make sure it is on Saturday though, this 120-year old market with 232 stalls is only held on Saturdays. The Lindengracht itself is a kilometer long and the entire street is reserved for the market on Saturday. Here you can buy fresh produce, local handcrafts and other knickknacks. From clothing to hardware, the market has a broad array of products for sale. It is the place where locals and tourists mingle to find the best bang for their buck! From the Lindengracht it is only a short walk to the Noordermarkt where you will find a great farmers market on Saturdays. Much like every city in Holland, every neighborhood in Amsterdam has its own general market selling food, clothes, toiletries and homewares. Noteworthy is the more than a century old Dappermarkt, known to be the most affordable and multicultural market in the city. It’s held six days a week in Amsterdam East. Peruse the exotic wares at the more than 250 stalls of the market that was named one of National Geographic’s favourite places in 2007. The Ten Katemarkt on Kinkerstraat in Amsterdam Old West is a similar market, also open six days a week, though slightly smaller with approximately 100 stands. “Broodje Mario” is the iconic bread stand where you can order the best sandwiches. Besides that you can buy tasty tapas and amazing hummus on the Ten Katemarkt.